This article is about the game mechanic. For the smasher, see Smasher:Boss. A boss is a non-playable character that appears as a strong opponent in specific circumstances in one-player modes. Bosses in the Super Smash Bros. series are usually significantly larger than playable characters, and are usually immune to knockback and flinching, meaning that instead of defeating them through a KO off the stage, they must instead be defeated by reducing their HP to zero. Fighting bosses is usually an entirely different matter than normal fights. Compared to regular playable characters, bosses usually have fewer attacks available. These attacks tend to be telegraphed with a long startup and endlag, making them more avoidable; on the other hand, they usually deal high damage and knockback should they connect. Bosses' immunity to knockback also means that the player's moveset will have to be used differently - for example, grabs and throws will almost always be useless, and moves of high knockback but low damage are no longer effective. On the other hand, bosses' large size and predictable movements and behavior often means that they have difficulty dodging attacks, and so powerful moves with a long startup such as Falcon Punch can be more effective than normal. In the first two installments of the series, boss characters were usable in normal play through hacks or the debug menu. Starting from Brawl, the character IDs for the bosses have been removed, meaning they are unplayable even with hacks, although certain other hacks allow the moves they perform to be controlled. In Ultimate, Master Hand can be controlled for one battle in World of Light, which is the first intended instance of a boss being playable. Giga Bowser Super Smash Bros.
Master Core Super Smash Bros. The first "true" boss of the Smash Bros. series, Master Hand is the master of ceremonies for the Smash Bros. series. In the first Super Smash Bros., according to the intro movie, he is meant to represent the hand of a child playing with his toys and staging fights between his favorite Nintendo characters, who are represented by dolls. He appears at the end of the 1P Game as the final boss. Upon being defeated, Master Hand lets out a deep roar that resembles laughter, and flies off, writhing and exploding, into the distance. Master Hand reappears in Super Smash Bros. Melee and Super Smash Bros. Brawl, reprising his role as the final boss in the 1-Player mode, now known as Classic Mode. Master Hand is fought on Final Destination, which is very similar to the Final Destination stage of SSB. He fights essentially the same way as he did in the original game, but with a few new attacks. Upon being defeated, he leaves the stage in the same way that he did in the original game. In Melee, he can also be fought in Event 50: Final Destination Match, where the player faces off against him and Crazy Hand at the same time. Due to a glitch in this game only, Master Hand can be used as a playable character in certain settings. 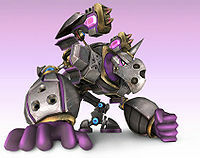 In Brawl, he also has an important plot role in The Subspace Emissary and appears in Boss Battles Mode as one of the game's ten bosses. In Super Smash Bros. 4, Master Hand continues to be fought at the end of Classic Mode on Final Destination and has new attacks; however, on high enough difficulty settings he will now transform into Master Core near the beginning of the fight, and the player will defeat Master Core in Master Hand's place. In Super Smash Bros. for Wii U, Master Hand has his own mode named after him, Master Orders. Master Hand reprises his role as a boss at the end of Classic Mode in Super Smash Bros. Ultimate. He also appears as a boss in Adventure Mode: World of Light. Outside of Smash, Master Hand appears in the Game Boy Advance game, Kirby and the Amazing Mirror, in which he appears as a miniboss in multiple areas. 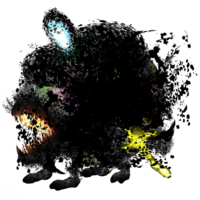 Upon being defeated, Kirby can inhale him, like other minibosses, and gains the Smash ability, which is based on Kirby’s moveset in Melee. Master Hand, alongside Crazy Hand, also appears as the boss of the Candy Constellation. This is Crazy Hand’s only appearance in the game. The two, like in Melee, have attacks that they use in conjunction with each other. In this battle, neither can be inhaled; they both explode upon defeat. The left-handed, twisted counterpart of Master Hand, Crazy Hand is meant to represent the feeling of destroying one’s own creations, as opposed to Master Hand, who is meant to represent the opposite. He was introduced in Super Smash Bros. Melee as a secret boss who fights alongside Master Hand under specific conditions (when Classic Mode is cleared on Normal difficulty or higher in under 15 minutes, Crazy Hand will join Master Hand when Master Hand has half of his health left.) As noted above, Crazy Hand also appears in Event 50, where he and Master Hand are fought together on Final Destination with 300 HP each. 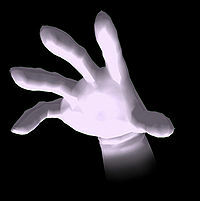 When compared to Master Hand, Crazy Hand can be considered to be much more erratic (i.e. "crazy"). His idle pose is a strange, erratic movement, and he has multiple strange attacks that are unique to him. Many of his attacks also have side effects compared to Master Hand, such as freezing and flowering. When Master Hand and Crazy Hand are fought together, they have several moves that they use in conjunction with each other, such as a high-powered clapping attack. 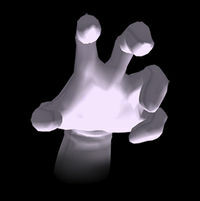 Crazy Hand reappears in Brawl at the end of Classic Mode under similar conditions as in Melee, where the player must beat the mode on Hard difficulty or higher in under 9 minutes. Instead of appearing halfway through, Master Hand and Crazy Hand will appear simultaneously at the beginning of the battle. As with Master Hand, Crazy Hand also appears as a separate boss in Brawl's "Boss Battles" mode, though he does not make any appearances in The Subspace Emissary. In Smash 4, Crazy Hand continues to be fought alongside Master Hand at the end of Classic Mode on Final Destination, and the two will appear together at the beginning of the battle; however, the conditions are now different. In Super Smash Bros. for Nintendo 3DS, the player gains the choice to fight Crazy Hand when on Intensity 3.0 or higher in return for more rewards; on Intensity 8.0 or higher, the player has no choice but to fight Crazy Hand. In Super Smash Bros. for Wii U, the player will always fight Crazy Hand as long as the Intensity is 3.0 or higher. However, in both games, if Crazy Hand (and Master Hand) are fought on Intensity 5.1 or higher, Master Core will appear in their place soon after the beginning of the battle. Like Master Hand, Crazy Hand has his own mode named after him in Super Smash Bros. for Wii U, Crazy Orders. Crazy Hand reprises his role as a boss at the end of Classic Mode in Ultimate. He also appears as a boss in Adventure Mode: World of Light. Giga Bowser's Trophy in Melee. Giga Bowser (Japanese name Giga Koopa) is the secret final boss of Adventure Mode in Super Smash Bros. Melee. As his name suggests, he is a large, powered-up version of Bowser. Giga Bowser is treated as a character, making him a rare exception to many boss properties - unlike other bosses, he has a damage percentage, takes knockback, has a full moveset, and can use items. (However, like other bosses, he cannot shield or be grabbed.) With a manic expression, a darker, more malevolent color scheme, and a hulking size, Giga Bowser is surely a boss to be remembered. Upon clearing Adventure Mode in fewer than 18 minutes on Normal difficulty (or higher), Bowser’s trophy, previously thrown into a mysterious abyss below Final Destination, rises back up onto the stage, and is struck by a strange lightning, transforming it into Giga Bowser. During the battle with Giga Bowser, a distorted version of the Final Destination theme that cannot be found in the Sound Test plays. Many of Giga Bowser’s attacks are powered up versions of Bowser’s: his down smash attack has a freezing effect, his forward smash has explosive properties, and his forward tilt has darkness effects. Unlike Bowser, Giga Bowser's Fire Breath attack never diminishes. Along with Mewtwo and Ganondorf, Giga Bowser appears in Event 51: The Showdown. The three team up against the player, who must defeat them to complete the event. 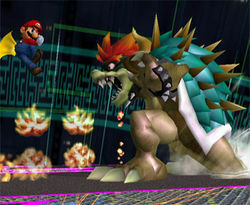 In Super Smash Bros. Brawl and Super Smash Bros. 4, Giga Bowser no longer appears as a boss. Instead, he makes a semi-playable appearance from Bowser's Final Smash, Giga Bowser. 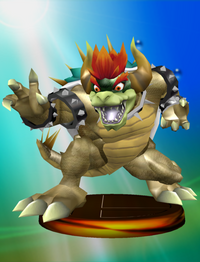 When used, Bowser temporarily transforms into Giga Bowser, who is largely unchanged from Melee, keeping the elemental abilities of his attacks as well as his massive size. Some changes include that Giga Bowser no longer flinches (making him more similar to other bosses in this regard), and that his down special, Giga Bowser Bomb, no longer has a wind effect as it does in Melee. In Super Smash Bros. Ultimate, Bowser's Final Smash is no longer a controllable transformation, with the player instead aiming a targeting reticle that unleashes a single powerful punch from Giga Bowser on their opponents. However, Giga Bowser again appears as a boss, this time in Classic Mode. Like his Final Smash incarnations in Brawl and Smash 4, the player must deplete his HP in order to defeat him, and he does not flinch from almost all attacks. Petey Piranha (Japanese name Boss Pakkun) was the first revealed boss character in Brawl, and is the first major boss to come from another series of games, as opposed to being unique to Smash. He appears as a boss in The Subspace Emissary storyline, holding cages that contain Zelda and Peach. He uses both these cages, as well as his own abilities, to attack Kirby. After Kirby attacks a cage enough to break it, Petey will be defeated and explode, while whichever princess contained within the broken cage will be freed; the other princess is turned into a trophy and subsequently taken by Wario. Petey Piranha has previously appeared as a playable character in Mario Kart: Double Dash and a boss in Super Mario Sunshine. Petey Piranha returns in Super Smash Bros. Ultimate as Piranha Plant's Final Smash of the same name, complete with the two cages he carried in The Subspace Emissary. When summoned by Piranha Plant, he will begin jumping around while swinging the two cages in hopes of catching one of Piranha Plant's opponents. Then, he breathes fire on the cage before slamming them into the ground to launch the opponents and disappearing. This makes Petey Piranha the second boss character to become part of a Final Smash, following Giga Bowser. 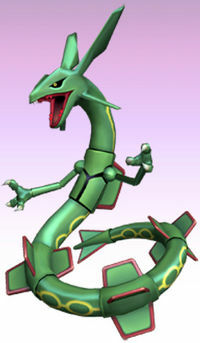 Rayquaza is the first Pokémon to be a boss. It first appears in The Subspace Emissary in the jungle after Diddy Kong goes to investigate a crashed Arwing, where it comes out of the water, destroys the Arwing with an energy ball, and then kidnaps Diddy. As it goes back into the water, Fox exits the destroyed Arwing and attacks the aggressive beast, causing it to lose its grip on Diddy Kong. Rayquaza then fires an energy ball at Fox, but Fox reflects the attack back at the monstrous dragon, sending it tumbling back into the water. After this, Diddy Kong and Fox fight it. Its attacks are loosely based off of the Pokémon games, and it has an exceedingly large amount of resistances. As one of the bosses of The Subspace Emissary and a high-ranked member of the Subspace Army, Porky Minch sends Primids to divert Lucas and sends in his giant statue, the Pig King Statue, which soon hunts Lucas down. The statue is indestructible, so Lucas has no choice but to run; the giant statue destroys giant containers, barrels, enemies, and even metallic buildings as it chases him. Lucas finally comes to a giant marsh which seems to save him as the statue sinks, but it soon respawns. Lucas then stumbles, and just as the giant statue is about to crush him, Ness appears and uses a PK Thunder, which causes the statue to tip over. The statue once again recovers and flies into the air, this time to crush Ness. However, Ness uses a PK Flash and the statue explodes, revealing Porky Minch himself inside (in his bed-mecha from Mother 3). A boss battle then ensues. He attacks by running around and by using a variety of lasers. Lucas and Ness eventually take him down. Like all Subspace Emissary bosses, Porky is brought back by Tabuu to distract the heroes in The Great Maze. In his origin series, he appears as an antagonist in EarthBound and Mother 3. Galleom's official art from Brawl. 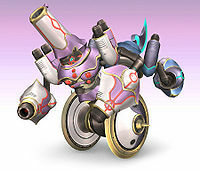 Galleom is a large transforming robot found during The Subspace Emissary in the desert by Marth, Ike, and Meta Knight. 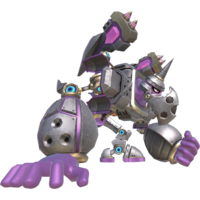 Galleom's initial form is a large armored tank equipped with ramming spikes and missiles, but when confronted by the three swordsmen, it transforms into an immense purple robot. In this form, he attacks with his large fists and missiles, and tries to crush the protagonists with his sheer bulk. The mechanoid is finally defeated, but not destroyed. He then leaps off a cliff and falls through the ground into a tunnel system. There, he confronts Lucas and the Pokémon Trainer. After he is defeated a second time, he grabs the two companions and blasts into the sky, revealing a Subspace Bomb concealed in his head. Lucas uses PK Thunder to separate Galleom's arm from his body, releasing the two boys, who are then rescued by Meta Knight. Galleom is finally destroyed by the detonation of the Subspace Bomb. He is later brought back by Tabuu to confront the heroes yet again in The Great Maze. Galleom's official art from Ultimate. Galleom returns as a boss in Super Smash Bros. Ultimate's Adventure Mode: World of Light and Classic Mode. He has familiar attacks as well as new ones, delivering powerful punches and stomps along with barrages of missiles. 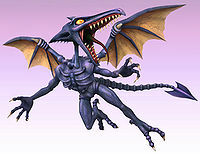 Ridley's official art from Brawl. Ridley appears as a boss in The Subspace Emissary in Brawl, where he meets Samus and Pikachu and proceeds to scratch Samus's Power Suit against the wall. Pikachu frees Samus with Thunder, and the pair then fights Ridley, eventually defeating him. Meta Ridley's official art from Brawl. 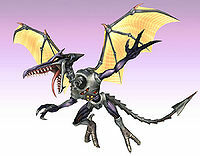 Ridley later reappears in his cybernetic form known as Meta Ridley, where he chases R.O.B., Olimar, Pikachu, Samus, Captain Falcon, Donkey Kong, and Diddy Kong in the Falcon Flyer as the protagonists are escaping the Isle of the Ancients as it is about to detonate. Unlike other boss battles, there is a 2-minute time limit. They battle him atop the Flyer, defeating him and sending his body crashing back into the factory's vents, just as the whole island is destroyed. 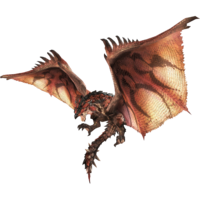 Both Ridley forms are reincarnated by Tabuu as individual enemies in The Great Maze. Ridley returns in Super Smash Bros. for Wii U as the stage boss of Pyrosphere. He can transform into Meta Ridley at certain points during the battle. Ridley also returns in Super Smash Bros. Ultimate, becoming a playable character with Meta Ridley being an alternate costume. This also makes Ridley the only boss in the series to become a playable character (excluding Giga Bowser and Master Hand, the former being a Final Smash and the latter being playable via a glitch in Melee). Duon is an immense, double-sided robot fought in The Subspace Emissary on the Halberd. Duon is created when Snake, Lucario, and Meta Knight destroy the Mr. Game & Watch clones that are maintaining the bridge. As mentioned, Duon has two different sides: one is a bright blue and specializes at melee attacks, while the other is pink and possesses long-range attacks. The blue side has two drill-like appendages and a large blade on its head. It can also fire explosive mines from its shoulders. The pink side can fire several energy blasts from its arm cannons in quick succession. It also fires three blue energy blasts from its head cannon and launches missiles from its shoulders. The beast can also leap into the air to try to crush the heroes and can spin around to cause damage. Upon its defeat, Duon dissolves into a puddle of Shadow Bugs and reveals the trophy of Mr. Game and Watch. As with the other bosses, Duon will attempt to stop the heroes again in The Great Maze. One of Tabuu's trophies in Brawl. 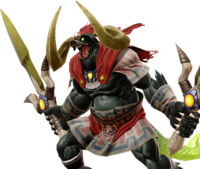 Tabuu is the final boss of The Subspace Emissary in Super Smash Bros. Brawl. He has many devastating attacks, most dangerously his Off Waves which can one-hit KO and are hard to dodge, but most of his attacks have a large amount of start-up lag. While playing in The Subspace Emissary, six characters are chosen to fight Tabuu. Introduced in Super Smash Bros. for Nintendo 3DS, Master Core is a transformation of Master Hand, and appears as a secret final boss in Classic Mode only when the Intensity is set to 5.1 or higher, after Master Hand and Crazy Hand are damaged enough. It possesses several forms that are fought in order: the humanoid-like Master Giant, the scorpion-like Master Beast, the swords-like Master Edges, a shadow duplicate of the player character named Master Shadow, a massive sub-stage of its own called the Master Fortress (exclusive to the Wii U version), and finally the Master Core itself. What forms are fought depend on the Intensity; numbers vary between versions, but in general the higher the Intensity setting the more forms that are fought, causing Master Core to have more HP overall and take longer to defeat. After all previous forms are defeated, the true Master Core will appear; it is normally completely defenseless, but if not defeated quickly enough, it will unleash five waves, each powerful enough to cause a one-hit KO. 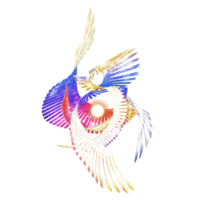 Galeem appears as the main antagonist of Super Smash Bros. Ultimate's Adventure Mode: World of Light. He is first confronting the fighters with an army is Master Hands. He then proceeds to absorbs his army before unleashing his ultimate attack to destroy and imprisoned all the fighters (Expect Kirby who escapes through the Warp star) while non-playable characters are transformed into Spirits. He then rewrites the universe in his own image, leaving it inhabited by hostile spirits and puppet fighters cloned from the fighters he has captured. He is surrounded by by a shield which can only be broken by defeating Giga Bowser, Rathalos, Galleom in any order and then facing off against Master Hand. After being defeated, Dharkon and his army of Crazy Hands appear, which prompts the weakened Galeem to flee and leave much of his remaining puppet fighters to be stolen by Dharkon. Galeem returns after Dharkon is defeated for the first time, and the two armies clash in the Final Battle. Galeem may be confronted either by himself or with Dharkon, but either fight gives Galeem additional moves. Defeating only Galeem has Dharkon plunge the world into darkness, while defeating both triggers the true ending. Dharkon appearing in Super Smash Bros. Ultimate. 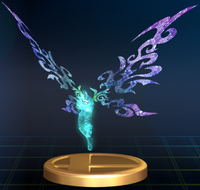 Dharkon appears as the other main antagonist, and counterpart to Galeem, in Super Smash Bros. Ultimate's Adventure Mode: World of Light. 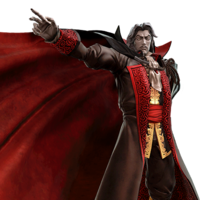 Dracula appearing in Super Smash Bros. Ultimate. Dracula appears as a boss in Super Smash Bros. Ultimate's Adventure Mode: World of Light and Classic Mode. Rathalos appears as a boss in Super Smash Bros. Ultimate's Adventure Mode: World of Light and Classic Mode. It is also the first boss in the series to appear as an Assist Trophy. Ganon appears as a boss in Super Smash Bros. Ultimate's Adventure Mode: World of Light and Classic Mode. 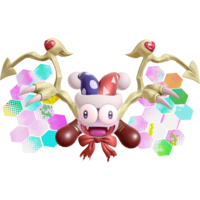 Marx (True Form) official art. Marx appears as a boss in Super Smash Bros. Ultimate's Adventure Mode: World of Light and Classic Mode. Since the first Super Smash Bros., games in the series have also included "minor bosses", or opponents that are generally unplayable (at least directly) and that are tougher to defeat than usual playable characters, but do not meet the criteria for "true" boss status. Often these are simply otherwise playable characters who have permanently gained the effect of a temporary item. Stage bosses are a type of boss introduced in Super Smash Bros. 4. There are a total of four, each appearing on one specific stage at certain times, hindering the battle until they are defeated. Yellow Devil is the only boss available in both versions, appearing on Wily Castle, and was also the first stage boss confirmed. He is invulnerable in every area except his eye, and can teleport between sides of the stage. When Yellow Devil is defeated, he explodes; whoever landed the final hit is not damaged by this explosion, and gets a point for anyone KO'd by the explosion. The Dark Emperor is the only 3DS version exclusive stage boss, appearing on Find Mii. He first appears in the background, and can send out shockwaves that give bonuses to fighters. Eventually he flies into the foreground where he can be attacked; once attacked a certain amount, he will fly back into the background. The player who lands the final hit gets a bonus. Ridley was teased at the end of the April 2014 Smash Direct, and was later confirmed as the stage boss of Pyrosphere in the October 2014 50-Fact Extravaganza. Unlike the other stage bosses, if he is damaged a certain amount by one player, he will fight on their side. If he is KO'd, the player who KO'd him gets an extra point; even the player Ridley is assisting can get a point from this. Once damaged enough, Ridley will fly to one of the two edges of the stage and absorb purple energy, turning into Meta Ridley, who is more powerful and has slightly different attacks. Metal Face was also teased at the end of Shulk's reveal trailer as the stage boss of Gaur Plain. The October 2014 50-Fact Extravaganza confirmed that his appearance is exclusive to the Wii U version. He attacks from the background and will eventually fly into the foreground, where he can damage parts of the stage and be KO'd. The game's internal data shows that there may have been a Dr. Mario stage that went unused and would have had a Virus as a boss. While fighting stage bosses is usually optional, in the Wii U version they're required targets during boss-related challenges in Smash Tour and in certain event matches. Yellow Devil, the Dark Emperor, and Metal Face return alongside their respective stages. Master Hand's gun will shoot 3 times (if he is below 100 HP in Smash 64 and Melee). 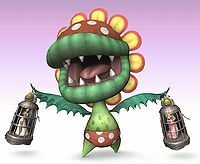 Petey Piranha will jump twice and swing cages more often. Duon will perform its dash attack twice. Ridley will perform his tail attack across the stage twice. Meta Ridley will perform a stomp that pushes the Falcon Flyer down below the lower blast line and launch a powerful fireball more often. Most of Rayquaza's attacks will be used three times in a row. In Brawl, whenever any boss is defeated in any mode, the same pattern of vertical dark green lines will appear over the screen. The only two bosses who can take knockback and be KO'd normally by being knocked off the stage are Giga Bowser and Master Core in its Master Shadow and final Core forms. Only two bosses have ever skipped an installment: Giga Bowser and Galleom. However, as Giga Bowser was present as Bowser’s Final Smash during his absence as a boss, Galleom is the only boss to skip a game entirely. This page was last edited on March 7, 2019, at 04:58.